Chocolaty banana mini cupcakes topped with a creamy layer of cream cheese and chocolate chips! I love trying new recipes for bananas, I seem to always have a couple of bananas just hitting beyond peak ripeness in my fruit bowl as well as bananas in my fridge and freezer. 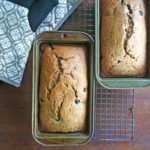 So, I was excited when I learned about Chiquita Bananas’ Cooking Lab Recipe Contest running weekly through November 24th. Each week they reveal two ingredients which you can use, along with bananas, and any other ingredients you like to come up with a recipe and submit it for a chance to will various prizes including a chance to have your recipe featured in their banana recipe collection. This past week when I saw the contest ingredients were cream cheese and chocolate chips, my mind immediately went to black bottom cupcakes. Black bottom cupcakes are a favorite of mine from childhood, and I thought bananas would be a nice addition. 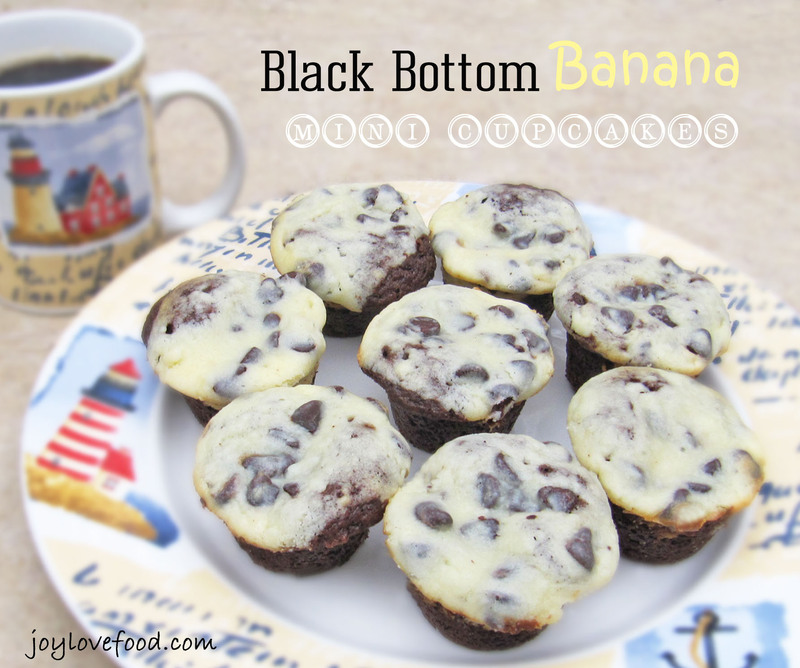 Black Bottom Banana Mini Cupcakes is the recipe that I came up with, boy are these little cupcakes delicious! They are perfect as a morning treat along with a cup of coffee or are wonderful any time of day when you a craving a little something sweet! Preheat oven to 350°F. Lightly grease or place muffin liners in a 24 cup mini-muffin tin. In a large bowl, using an electric mixer, beat cream cheese, egg and 1/3 cup sugar. In another large bowl, wisk together flour, 1 cup sugar, cocoa powder, baking soda and salt. Add in mashed bananas, vegetable oil and almond extract, stir with a wisk or spoon to combine. Spoon banana batter into mini muffin tins, filling about half way to the top of each cup. 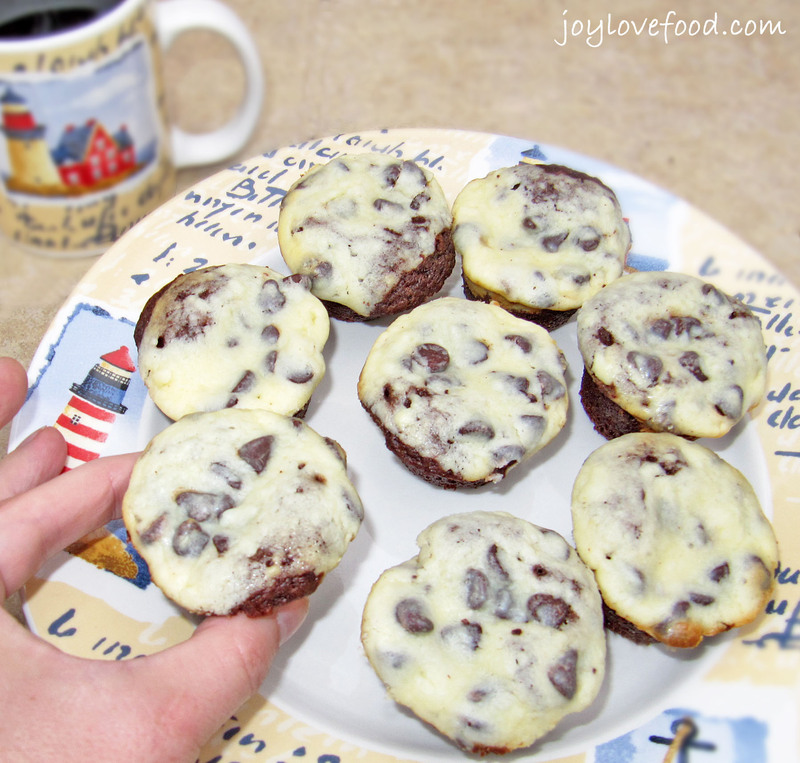 Place a dollop or two of the cream cheese mixture on top of each filled muffin cup. 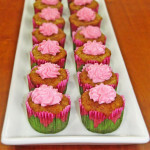 Bake in preheated oven for 15 – 20 minutes or until a toothpick inserted into the middle of a cupcake comes out clean. Cool muffin tin on wire racks for 5 minutes. Remove cupcakes from tin, place on racks and cool completely. This entry was posted in Breakfast & Brunch, Cakes & Cupcakes, Desserts & Sweet Treats and tagged banana, chocolate chips, cream cheese, cupcakes. These look delicious. Definitely pinning this to make! Yum. Thanks Keisha! Hope you give them a try and enjoy! Your cupcake recipe sounds delicious! I’m a new follower from “Create with Joy”! Thank you for sharing your amazing recipe with us at Create With Joy! 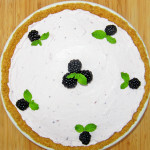 I am a HUGE fan of your blog and this recipe looks particularly delicious! So glad you shared these with us at Home Matters! 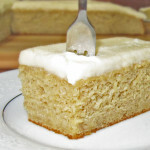 I have been looking for more recipes using bananas. Home Matters has moved to Fridays, please be sure to stop by and link more of your great recipes with us! Hey love, thanks for partying with me this week at Live Randomly Simple! So much great content this week! Hope you make it back this week! Party starts 10pm tonight and runs through Saturday!! Cant wait to see what new goodies you have for us! These look beyond delicious! Thanks Jessica! I will definitely be back at your party! Thanks, I will definitely be back at your party! oooooooooo What tasty goodness! 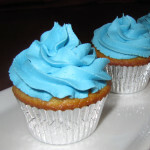 They look so good, when I first saw them I thought you had iced them, but further reading taught me different!!! Thanks for stopping by this week to share!!! Thanks Karren! Thanks for coming by! These sound delicious! I hope you win the contest!! Thanks AnnMarie! Thanks for coming by 🙂 !! 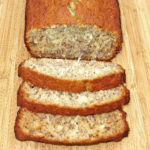 These look so yummy and a great way to use up old bananas. Thanks for linking to the In and Out of the Kitchen party. Thanks Cynthia! Thanks for stopping by! Mmm these look delicious! Very creative use of the ingredients from the contest. Can’t wait to make these for my kids!